The Kavkazsky District Court in Krasnodar Territory has ordered the jailing of Alexei Volchenko, leader of the Polite Farmers movement, and eleven other participants of a planned tractor convoy to Moscow. Quoting Olga Golubyatnikova, a member of the Krasnodar Territory Public Oversight Committee, the news website Caucasian Knot reported the arrests on Sunday, August 28. Volchenko will spend ten days in jail for not authorizing the convoy with Krasnodar Territory authorities. The other farmers will spend between five and ten days in jail. According to Golubyatnikova, the leader of the Polite Farmers admitted his guilt “due to pressure from the police.” According to her, Volchenko said at his court hearing that a policeman had threatened to charge him with extremism. Golubyatnikov also reported that Volchenko would be serving his administrative arrest in the Ust-Labinsk detention center. On August 25, the Askay District Court in Rostov Region ordered three of the participants in the tractor convoy jailed for ten days and fined eleven others, ruling their actions an organized political rally. The farmers themselves claimed they had not organized a political rally but had simply been attending a meeting with Leonid Belyak, deputy presidential envoy to the Southern Federal District, and Andrei Korobka, deputy governor of Krasnodar Territory. 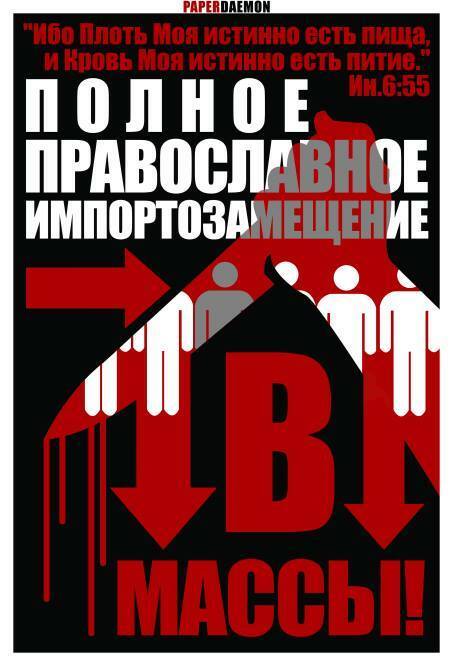 On August 24, the Rostov Regional Prosecutor’s Office organized an inquiry into the legality of the farmers’ protest. The Krasnodar farmers’s convoy set off on August 21. Fifty people in seventeen tractors and several passenger vehicles left the village of Kazanskaya in Krasnodar Territory’s Kavkazsky District and headed towards Moscow. They had planned to ask Russian President Vladimir Putin to solve the problem of the courts, which, in their view, issued unjust rulings [sic]. On August 22, the activists were invited to meet with Kuban authorities and temporarily halted the procession. On August 23, they were detained by police officers. Despite the unrelenting anti-US rhetoric of recent years, the Russian elite has been quite happy to invest both government funds and their own money in the Great Satan’s economy. As of the end of June, Russia had increased its total investments in US Treasury bonds to 90.9 billion dollars. The figure increased by three percent during the month. This is borne out by data published the US Department of the Treasury on its website on Tuesday, August 16. A year ago, Russian held 72 billion dollars in securities. Thus, the amount of bonds it has purchased has risen by 26 percent over the last twelve months. Russia ranks sixteenth among major holders of US Treasury bonds. Saudi Arabia ranks fifteenth and holds 98.3 billion dollars in bonds. China is in first place. The People’s Republic of China owns 1.24 trillion dollars’ worth of securities. In second place is Japan (1.15 trillion dollars), followed by Ireland in third place (270.6 billion dollars). Various countries own a total of 4.04 trillion dollars in Treasury bonds. US Treasury bonds are considered among the safest securities in the world. Their low yields (around three percent) are offset by guaranteed payouts. US Treasury bonds have never defaulted even once since they were first issued. The Audit Chamber argues that under the import substitution program, Russia may experience shortfalls of meat, dairy products, and cheese in 2016. This outcome is expected because raw produce from countries subject to the embargo are often used in food production, reports RIA Novosti. “There is a risk of partial compensation of shortfalls of produce banned for import from a number of countries,” the Audit Chamber reported. It is likewise expected that in the medium term, problems with consumer demand might arise in the process of import substitution. “Accordingly, support, ‘voting with rubles,’ should not be expected from consumer demand for domestic products in the event of their qualitative deterioration,” said the chamber. It was reported on October 28 that ten suppliers of imported meat and dairy products, as well raw materials for confectioneries, had filed a complaint against supermarket chains with the industry’s good practices compliance commission. The reason for the complaint was the fact the chains had been fining the suppliers for stopping the supply of goods affected by Russian anti-sanctions. 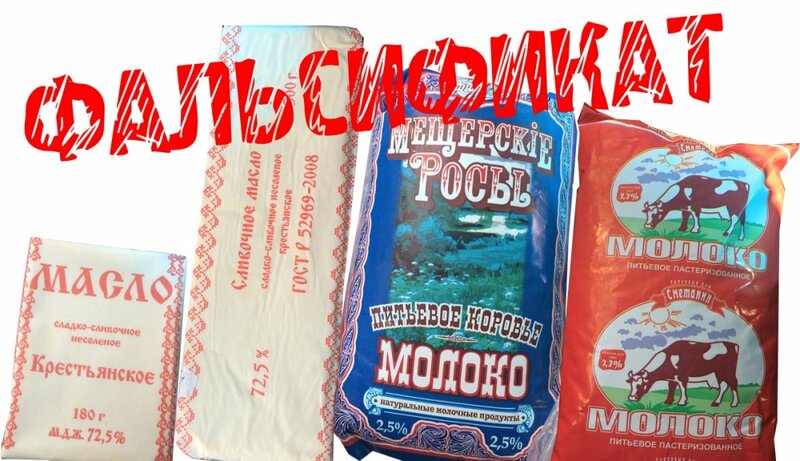 On October 1, Russian agricultural watchdog Rosselkhoznadzor released findings that 78.3% of cheese in Russia is adulterated, since it contains vegetable oils. According to the agency, this figure is as high as 45% in Moscow and Moscow Region. The overall level of adulteration in the dairy market is 25.3%, as revealed by monitoring conducted from January to September of this year. According to a study done by the Roskontrol Consumers Union, 75% of the cheese and 58% of the butter sold in major Moscow supermarket chains is adulterated. In August 2014, Russia imposed a produce embargo on EU member states, as well as the US, Australia, Canada, and Norway. In late June 2015, Moscow extended the embargo for a year. Later, the Prime Minister of Russia Dmitry Medvedev signed a decree extending the produce embargo to countries supporting sanctions against Russia. The restrictions were extended to Albania, Montenegro, Iceland, and Lichtenstein. The list of banned produce includes, in particular, beef, pork, fish, and milk. If imported into Russia, these goods are subject to destruction. On June 24, 2015, Russian President Vladimir extended the counter-sanctions for a year, until August 6, 2016. “For my flesh is meat indeed, and my blood is drink indeed” (John 6:55). Full Russian Orthodox import substitution to the masses! Price of Cucumbers in Russia Soars by 1,000 Percent! According to Rosstat, the price of fresh cucumbers in late October rose by almost a third in a week. In Petersburg, the price of cucumbers has soared by 500–1000% over the [last] month. Gorod 812 tried to get to the bottom of what has happened with cucumbers and whether we are threatened by a deficit. Shopkeepers cannot keep up with rewriting price tags. A month ago, dimpled cucumbers cost a little over 20 rubles a kilo, but now the average price is 150 rubles a kilo. In small stores and produce markets, the price has already surpassed 200 rubles a kilo. 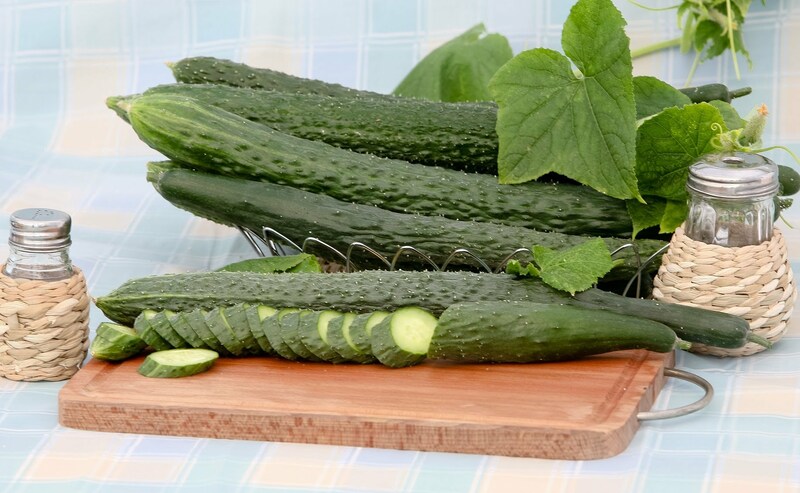 On the web, farm-grown long cucumbers are selling for 525 rubles a kilo. They are more expensive than meat. What has happened with cucumbers? Gorod 812 talked to producers and suppliers. The first thing we have discovered is that a deficit has set in. There is a shortfall of cucumbers in Petersburg. “[We are selling] only greenhouse-grown cucumbers and only on order. We have a contract with a greenhouse in Leningrad Region. We supply their produce to supermarket chains. At the moment, we are really standing in line waiting for the harvest. We are even giving some of our clients the runaround,” a source at the company Veles told us. “There is a total shortfall. The price for them now varies from 80 to 160 rubles a kilo. But that is today. The prices change practically daily. There are no spiny, dimpled cucumbers at all. Everyone is trying to grown medium-sized cucumbers, because it is unprofitable to grow short cucumbers: their mass is too small. There are loopholes for shipping cucumbers from abroad, of course, but it is very expensive anyway,” our source at Veles said. Gorod 812 contacted local cucumber producers. On the website of the agricultural enterprise Victory (Annino Village, Leningrad Region), cucumbers were listed at 85 rubles a kilo. We gave them a call. “The information online is outdated. We have run out of cucumbers. We only have ingredients for borscht: cabbages, carrots, beets, and potatoes. We had cucumbers in the summer, because we have summer greenhouses. We don’t have winter greenhouses,” a source at Victory told us. The situation with the scarce product is also tense in the warm climes of our country. “It’s already cold. Cucumbers aren’t growing,” we were told by a farm in Volgograd Region that only a couple weeks earlier had still been selling cucumbers. It was the same thing in Krasnodar Region. The Flagma agricultural enterprise in Krasnodar was reluctantly willing to part with their cucumbers. At the Petersburg company Gold, which supplies cucumbers from Belarus, the price for a kilo of cucumbers rose from 110 rubles to 115 rubles in fifteen minutes. “It was 110 rubles for the previous batch. But now it is 150 rubles a kilo. There is little supply on the market, and Belorussia [sic] is running out. Wholesalers are starting to ship from other places, like Turkey and Azerbaijan. Delivery is more expensive, and the price is higher,” our source at Gold explained. The online price for imported cucumbers starts at 1.35 euros a kilo, plus delivery costs. The previous supply chain of cheap cucumbers from the EU has been blocked by the produce embargo. 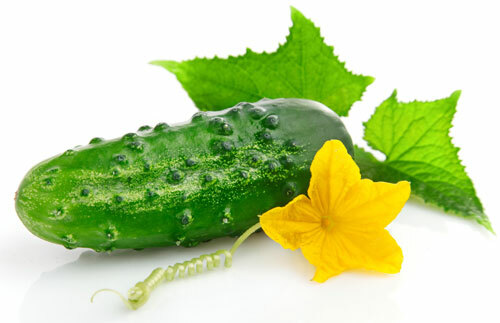 Businesses are trying to organize the delivery of cucumbers from China and Moldova. Petersburg is mainly supplied with Turkish cucumbers. Local cucumber producers advise checking them carefully for nitrates and other chemicals just in case. By the way, relatively inexpensive cucumbers (starting at 1.69 euros a kilo, i.e., around 120 rubles a kilo) can be found in hypermarkets in [neigboring] Finland. In Leningrad Region, Gorod 812 managed to find only one producer of fresh cucumbers, the agricultural holding Vyborzhets. It has a virtual monopoly on the local market. Vyborzhets sells its produce to everyone, wholesale and retail buyers, on the same terms, at the same price. Long and medium-sized cucumbers go for 140 rubles a kilo; short cucumbers, for 190 rubles a kilo. “What did you expect? Our businesses have realized there is going to be a cucumber shortfall, and are now trying to recoup their costs from previous years. It is a predictable situation. On the other hand, we cannot blame them. Back in the day, they almost declared bankruptcy when cucumbers were imported to Russia and our economy was demolished,” said Alexander Bykov, president of the Leningrad Region and Petersburg Farmers Union. According to Bykov, the cost of producing local cucumbers has remained unchanged. “Maybe it has increased a bit, depending on energy costs. There is no competition in this market. The term ‘competition’ is applicable if two producers grow produce using the same technology. But if two products are produced in different conditions, the price will be different. The Antimonopoly Service cannot pin anything on them. They are free to do their own pricing. Plus, there is a chain of middlemen and retailers who ratchet up the prices. One could force chain stores to contract directly with producers, thus bypassing the layer of intermediaries. But dealers usually own the storage warehouses and take the risks involved in selling the produce. Producers do not have big warehouses. They have nowhere to put produce,” explained Bykov. It seems that Russia is returning to Soviet times. Those who were alive then will remember there were no cucumbers in winter at all. They would run out in October, and the first long greenhouse cucumbers would hit the shelves for March 8 [International Women’s Day]. They cost 2 rubles and 20 kopecks a kilo, the same price as baloney, while meat (beef) cost 2 rubles a kilo. Then the cucumbers would disappear again until summer. During the dacha season, the price for cucumbers would fall, but it was no longer the tasteless “eighth of March” long cucumbers that were on sale, but normal cucumbers. In Leningrad, they cost around 20 kopecks a kilo. The current deficit is also an omen from Soviet times. “I think the authorities should pay attention to the shortfall of cucumbers in Petersburg. And pay more attention to agriculture, because it is the industry that can replace oil in Russia,” said Alexander Bykov.